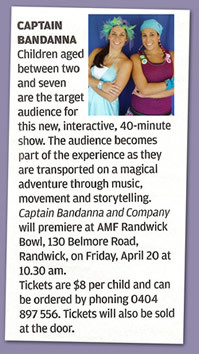 Captain Bandanna & Co pride themselves on writing great songs for children and we are extremely excited that Sharon (Captain Bandanna) has taken out first prize in the children’s category at the 2007 National Australian Songwriting Contest for ‘Animal Mix’, a song which she co-wrote prior to becoming Captain Bandanna & Co.
To save hi-res photos to your computer, right click on thumbnail and select "save image as.."
Michelle New (Splash the Mermaid) and her sister Sharon Saul (Captain Bandanna). Photo: ALAN PLACE. 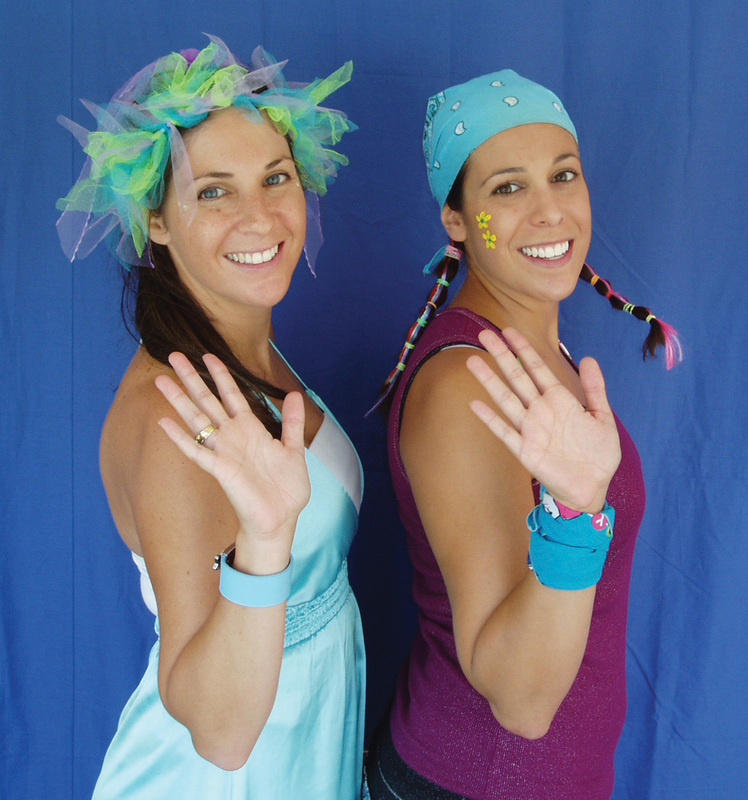 TWO Rose Bay sisters have won the children’s song category in the Australian songwriting competition. 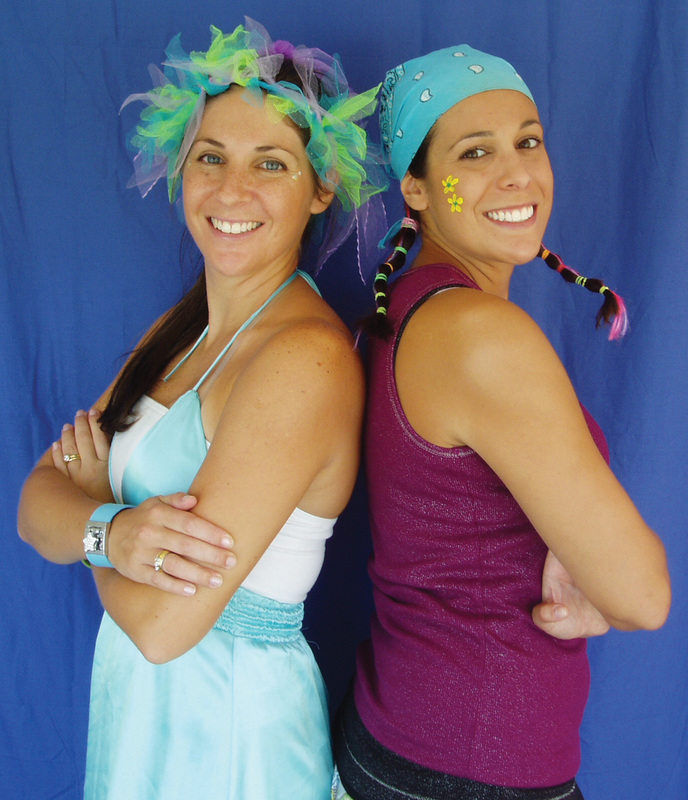 Michelle New and Sharon Saul formed children’s group Captain Bandanna and Co two years ago and will now compete against 11 other category winners for the song of the year award. The award-winning song is a rock’n’roll number called Shake It!. New described it as “a fun song that is energetic and all about moving the body”. “The movements are simple so kids can copy the actions easily,” she said. 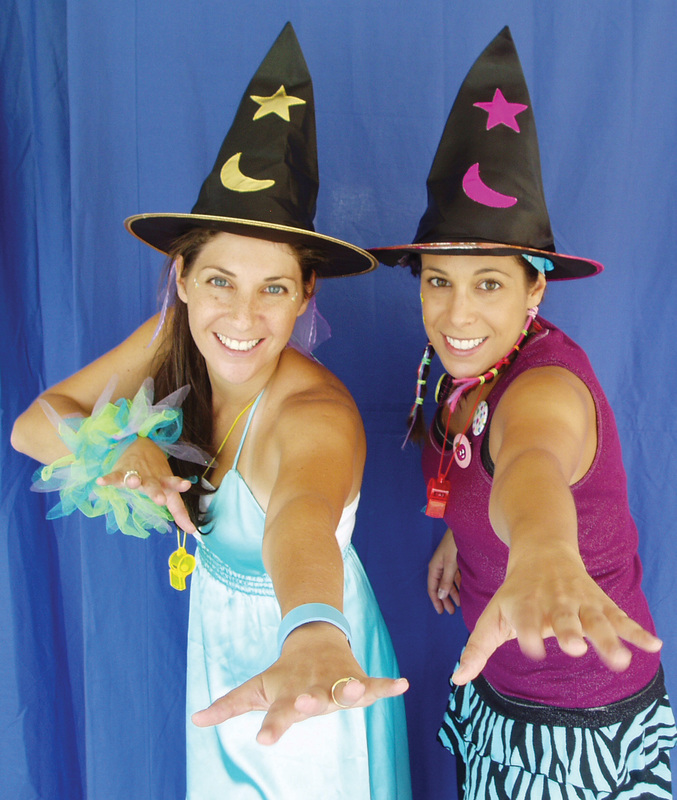 The pair independently recorded and released its debut CD, Just Imagine, which was popular with children and parents. 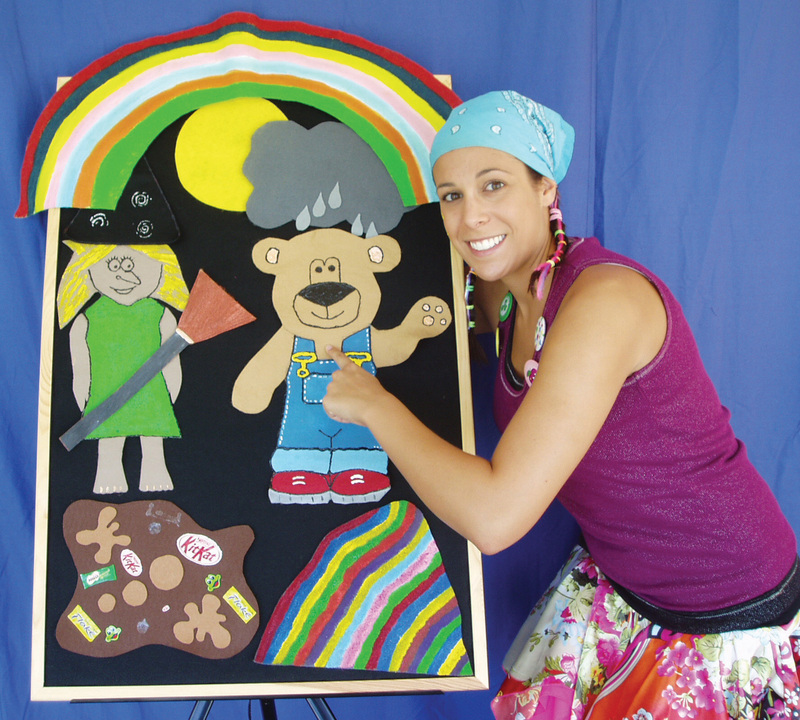 “All the songs are educational and encourage the kids to use their imagination. 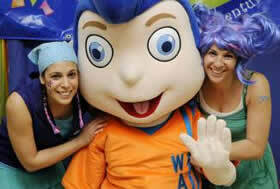 Our live show is very interactive, which the parents love,” New said. 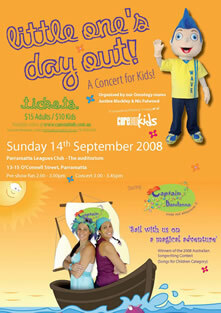 Contact Us | Party Packages | Downloads | Links © 2007 Captain Bandanna. All Rights Reserved.